When it comes to BrightGauge best practices, we often find it really valuable to turn to our peers for support. Seeing how others are using BrightGauge dashboards and reports helps us understand their capabilities in different ways or see benefits we may have missed on our own. After all, sharing is caring, right? Or did our moms just tell us that to get us to play nice? Anyway, we digress. Recently, we’ve been asking some of our customers how they are using BrightGauge to keep their employees motivated, and we’ve heard lots of creative solutions! One that came up repeatedly was the idea of using dashboards to create some friendly competition. We’ve talked about this in the past and it’s cool that this tactic is working for so many people out there. In the spirit of sharing, we’re talking different ways that your business peers are using BrightGauge to get those competitive juices flowing. We released this feature in 2018 and it’s been a popular one, to say the least. 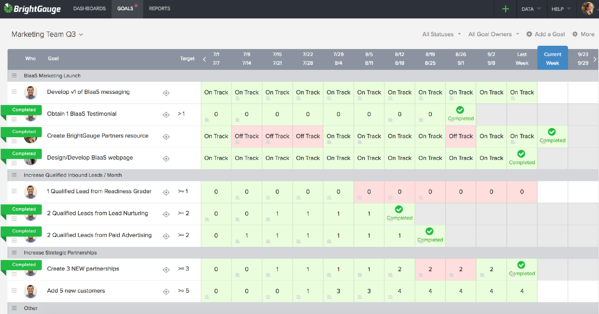 Many of you had primarily requested it so you could add a little branding to your dashboards. For example, you said you wanted to put a client’s logo on their respective dashboard for use in important meetings. It’s a nice touch. Why not use that impressive feature on your own employees, too? We find the idea of a visible competition highly motivating. Say hello to leaderboards. When a leaderboard is created, it essentially ranks your team members based on their performance. So, if you want your techs to be extra motivated, create a leaderboard that shows how many tickets they’re resolving per week and award a prize to the top-performing tech. To make it even more fun, you can add badges and icons to the ranks, like a first place medal next to the #1 position. Now, technically, a leaderboard is a gauge, but you can reinforce it by adding an image gauge next to it. Consider putting a photo of that week’s top performer next to the leaderboard - who doesn’t love having their photo up for all to see? Obviously, ‘Employee of the Month’ has been used as an incentive for eons. But we’d like to think it’s never been this quick, fun, or shareable before. Whether you want to choose a company-wide EOTM or one per department, you can announce it via BrightGauge dashboards. Maybe even an EOTM dashboard that you have on display in your reception area (something clients would be impressed to see upon arrival to your office). When the first of the month rolls around, consider putting that EOTM’s photo up on the dashboard, along with a text box with their name and a little context as to why they’ve been selected. We’re all motivated by praise and appreciation, and this is such an easy way to make someone feel the love. Many business owners make it a point to hold regular town halls or company-wide meetings, likely once every quarter. It’s a good business practice because it makes your employees feel like they have a true stake in the company and it also ensures that everybody is on the same page when it comes to company goals, accomplishments, and areas that need improvement. Dashboard images are useful in town halls in several ways, such as visually conveying important company news and to inject a little fun and humor into these company-wide meetings. Let’s say your company was recently recognized by your industry for achieving success. An image of the award you received can be placed next to a dashboard highlighting your big numbers for the year. Your employees will love seeing a visual representation of how their hard work pays off. You can also go a totally comical route and just use your dashboard images to show hilarious photos of your employees throughout the year. Either way, we’re into it. Some of our users have admitted to us that they’re not quite sure of the best way to use Goals. It can seem less straightforward than dashboards or reports, but once you understand how powerful it can be, you’ll be using this feature all the time. First of all, regular goal-setting is an effective way to drive motivation and productivity in employees. It keeps them focused on a target and lays down a roadmap towards success. BrightGauge Goals adds another layer of power because of its high visibility. While goals are created for individual team members, everyone in the company has visibility to these goal cards, which drives people to feel even more accountable for their responsibilities and performance. The culture that is created as a result of this practice is ideal - all employees are in it to win it, productivity goes way up, and as a result, your business reaps the benefits. We always recommend that you set 2-3 goals per employee per quarter, tie them to overall company KPIs, have them mark whether they are on or off track each week, and use their progress as a conversation starter, not as the sole basis for a raise or promotion. Now that you know what to do with Goals, how can you create a competition out of them? 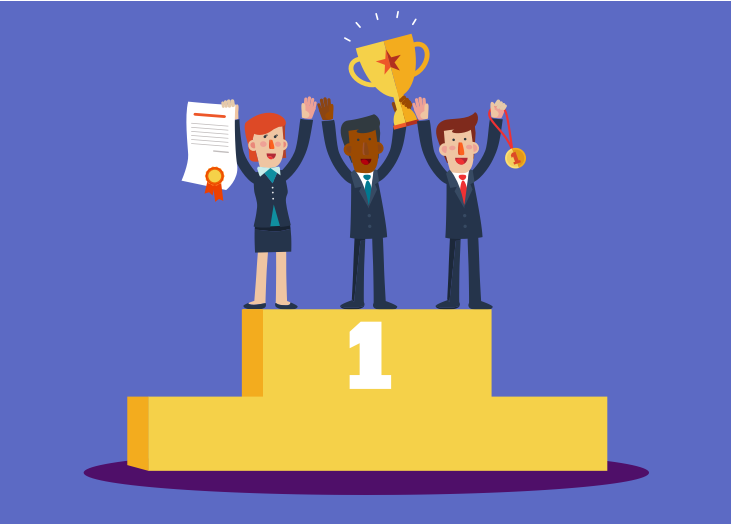 You can reward the employee who completes a goal the fastest or the employee who completes the most goals per quarter or year. And don’t be afraid to have a little fun with it. At BrightGauge, we have monthly town-hall meetings that we call Rambo (that’s a story for another day) and we basically recap the prior month, highlighting the wins, talking about areas where we can work harder, and discussing goals for future quarters. But the best part of Rambo? When the Top Banana award is given out. Yes, you read that right. 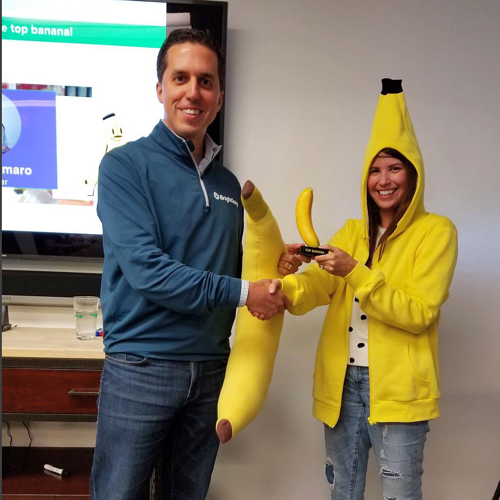 The Top Banana is given to a person who went above and beyond the month before - maybe they kicked booty on a really challenging goal. Or maybe they found a way to release a game-changing new feature without having been asked to look into it. It’s a fun and silly ritual, but it’s something that we all look forward to month after month and it’s something that keeps us all on our toes because we all want to be acknowledged as the Top Banana! Competition that keeps people motivated and working really hard day in and day out is the best kind there is. The bottom line is that inspiring your employees to engage in a little friendly rivalry puts them on the right path to crush goals and make things happen for your business. Plus, it’s a great opportunity to show your team members that you appreciate what they do and that they deserve to be rewarded. We’d love to see your dashboard images, so please don’t hesitate to share them with us!